Warning: This carabiner is not for everybody. 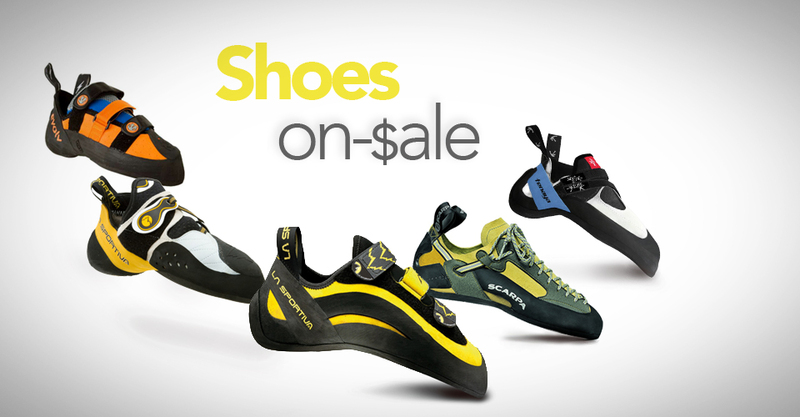 It’s geared towards the most ambitious 1-2% of the climbing market. The biggest goal of the 19G is to keep innovation alive by not focusing solely on products for the 99%. Edelrid is focusing on pushing the limits, and hopes to help advance the industry by showing where the next improvements in gear could be made, all the while ensuring their gear is still safe and functional. Best For: Alpine climbers. Especially those particularly concerned about speed and weight. A sport climber, who hangs their own draws on the ascent of a super long line would also marvel at the lightness of their harness when climbing with a full rack of 19G quickdraws. The Lowdown: With a weight of 19.5 grams, Edelrid easily makes this carabiner the lightest on the market. The next lightest carabiner is the Metolius FS Mini (23 grams). The 19G has a 20kN breaking load and is rated 7kN for the open and minor axis strengths which is exactly the same as the CAMP Nano 23 (23 grams) and Black Diamond Oz (28 grams). There are other micro-carabiners that have higher closed gate strengths, between 21-23kN. Check out WeighMyRack’s list of carabiner stats to easily compare the strengths of all the carabiners on the market. The gate opening for the 19G is 19mm. Interestingly, this isn’t the smallest gate opening for a wiregate carabiner; the Metolius FS Mini (23 grams) is 17mm and the Kong Argon Wire (31 grams) is 18mm. In 2014, the 19G stands tied as the third smallest gate opening along with the Cypher Mydas (24 grams) and Singing Rock Vision (33 grams). The price feels high retailing at $10.95 per carabiner although this is less than it was originally slated for at $11.50. Compared to the top 10 lightest carabiners, the price is not unimaginable: The Petzl Ange S (28 grams) is the same price and Grivel’s Plume K3W (28 grams) is dollar more. Expectations for Use: Watch the video at the very top of this post (or click here to go to Vimeo directly) to see Daniel Gabel, Head of Edelrid Product Development, talk about how even one of his guide-friends was skeptical of the carabiners size at first. Only after the guide was forced to lead mid-climb with the 19G’s, was he willing to consider the idea that the 19G was a usable size, and worth the weight advantage. Surprisingly, hand size doesn’t come into play as much as one would expect because big or small hands, you’ll only get one finger on the gate. If you’ve become accustomed to other micro-carabiners, you should have no trouble with the 19G. Heavy gloves would add a sizable challenge though. The “Game-Changing” Advantage: Weight; here’s an example of how much weight can be saved compared to other already light carabiners. Note: although named the 19G, the weight is officially 19.5 grams. Not quite half a pound difference, but when you add in some draws equipped with 19G’s the weight really starts to add up. Easily shave a pound off your rack even if you’re already using some fairly light carabiners to begin with. With this weight savings in mind you can save yourself some time wondering if “one more draw” would be a safer decision; instead you could easily grab an extra quickdraw or two without noticing the difference. Quickdraw: In the US, the 19G quickdraw comes in an 10cm length with an 11mm wide Dyneema sling. In Europe, the 19G quickdraw comes in 10cm and 18cm lengths with a 8mm wide Dyneema sling. If you’re skeptical about clipping the rope with the 19G’s skinny body you could check out the Mission Light quickdraw that features a 19G carabiner on top and an Edelrid Mission carabiner on bottom (at 25 grams the Mission still one of the lightest carabiners available). Although the Mission only has a 20mm gate opening, it does have a much wider body making it easier to clip with a glove. The Mission Light Set comes with a 10cm long 11mm wide Dyneema sling, in the US and Europe. Colors: Since the original release, Edelrid has also come out with a 6-pack of colors for racking cams. In the US, you’ll only find the “slate” (gray) color sold separately. The “ice mint” (blue) color is also available separately in Europe. The rest of the colors only come in the rack pack. Conclusion: All micro carabiner’s have a learning curve and some will find the 19G more comfortable than the other top 5 lightest carabiners. You won’t find huge differences between the micro carabiners; some are a few bucks more, some have a smaller gate opening. There are folks who solely use micro-carabiners because they’ve made time to learn the subtleties, and now they can’t see any rational reason to increase the weight of their rack. Others find it incredibly tough to get used to the small size of the micro carabiners and don’t find it worth any frustrating clips to get used to the small size. It’s a totally personal experience. Regardless of use, we still applaud Edelrid for taking the risk of making a carabiner intended for the smallest percentage of climbers who are truly pushing the limit. More: Climbing Gear Reviews UK has a bunch of great photos of the 19G quickdraw in use, and a write-up of his experience using the draws while ice, alpine and sport climbing. Buy It: In the past few months, a ton more retailers have started carrying the 19G and there are many options. These are all affiliate links, so we get a small commission if you click a link and check out. These commissions help support more content on this blog. Questions about the 19G? Write them in the comments! We’re happy to get you answers.